Punit Soni has held the position of vice president of product at Motorola Mobility (under Google's direction) for less than a month, but already he's setting a better precedent than his predecessor. Soni took to Google's social network, Google+, this month to interact directly with Motorola fans and critics alike, and the topic that came up more often than any other was the lack of Android 4.0: Ice Cream Sandwich updates, particularly for the Droid Bionic. The Droid Bionic was released in early 2012, and an upgrade to Ice Cream Sandwich seemed assured at the time, with an expected arrival by the end of Q3. But with Q3 practically over, there's been no word of an ICS update for the Bionic in some time, and Soni has taken it upon himself to personally soothe the savagery coming from disgruntled customers. 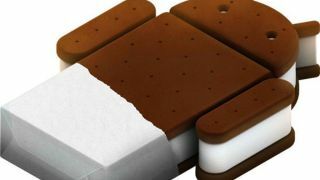 Ice Cream Sandwich, meanwhile, is already poised to be Android's outdated OS as Jelly Bean, aka Android 4.1, is rolling out to more and more devices. On Monday, some European owners of the Samsung Galaxy S3 started to receive the sugary update. A Google+ thread that began with Soni's good-humored observation that he can see Microsoft's headquarters from his office turned into a month-long string of Google+ users telling Soni everything that Motorola's done wrong. Soni took it in stride. "I want this feedback," he wrote. "We are doing our best to do the right thing. Bionic ICS is in my radar. " As complaints about the lack of ICS on Bionic continued to stack up, Soni left more notes, writing, "We have a plan for Bionic. I am currently solidifying things to ensure we can publish it, commit and follow up." "I think you guys have gotten a raw deal and we could do way better," he continued. "But you are one of the top few things I worry about when I look at Upgrades." A new day for Motorola? Soni's most recent messages in the thread that's run for a month suggest that Motorola Mobility is entering a new phase, and that he is personally committed to ensuring that the phone maker listens to its customers from here on out. "I am not going to throw out the argument 'we just got here,'" Soni wrote. "We are taking responsibility for this. And we will engage with you, listen carefully to your concerns and most importantly, try to FIX things." He continued on Saturday: "I genuinely do feel the pain of folks here. And we really do want to change things. "Based on the four weeks I have been around, I can say that two things are going to happen in the future: we will make informed commitments and once we make them we will do everything we can to meet them. "Second, we will [be] as transparent as possible given the constraints that software pushes like these are complex and have many dependencies. We have a plan, according to that plan, Bionic is going to ICS soon." Soni added that once the Bionic is sorted out, he'll turn his attention to the Motorola Atrix, which also hasn't received its Ice Cream Sandwich update.